Industrial action taken by tram workers has already had an impact on Yarra Trams. The company has withdrawn some of its proposals for stripping the working conditions of tram workers. A community assembly is holding firm outside the Hutchison terminal at Port Botany, with 24-hour attendance and regular gatherings of maritime workers from Hutchison and the other operators, Patricks and DP World. There is a similar assembly at the Port of Brisbane. The assemblies were established after the provocative sacking of 97 waterfront workers at the two ports at midnight on August 6 and have been maintained as "solidarity camps" ever since. The sackings, imposed via text and email messages, shocked workers in the maritime industry and throughout the whole union movement. The 11th Annual Edward Said Memorial Lecture, presented by the Australian Friends of Palestine Association, was held on September 5 at the University of Adelaide. Dr Salam Fayyad was the guest speaker. He was the inaugural President of the State of Palestine (2007-2013) and one of Time Magazine’s 100 most influential people in 2010. Community groups from across Sydney have condemned the NSW government's announcement that the community consultation period for the Environmental Impact Statement (EIS) for the M4 East section of the huge WestConnex tollway will be limited to 45 days. NSW Planning Minister Rob Stokes released the Environmental Impact Statement on September 9. NSW Greens spokesperson for WestConnex and MP for Newtown Jenny Leong said: “This is the largest, most complex road building project in Australia’s history. The Freedom Movement, which was born at the Freedom Summit at the Old Telegraph outside of Mparntwe (Alice Springs) last November, will gather once more from September 11 to 13. Members of tribal nations, including Arrente leader Rosalie Kunoth-Monks, will be present. If it wasn't painfully obvious before it should now be crystal clear now that there is no such thing as company loyalty. Loyalty from companies that is. ABC’s 4 Corners revealed last week that convenience store chain 7-Eleven was engaged in a wide-scale rip off of its workers by paying them below award wages, and in some cases below the minimum wage. It seems employees are fair game for the rapacious nature of capitalism. The Labor-dominated Newcastle council has defied pressure from unions and senior ALP figures to rescind moves to investigate moving a $270 million investment portfolio away from banks that fund ‘‘socially and environmentally’’ harmful projects and industry. Labor’s Cr Declan Clausen, who moved the original motion, said it was not against the coal industry or coal jobs, but a symbolic move in support of ‘‘different jobs for the future’’ and a shift to renewables and a clean energy industry. Unite, a group that seeks to organise casual workers in Victoria, has called on the federal government to give an amnesty to any past or present 7-Eleven workers who may have breached their international student visa conditions. After ABC’s 4 Corners revealed the 7-Eleven half-pay scam the company was forced to launch its own independent investigation of the claims of underpayment. The Fair Work Ombudsman is also investigating the widespread underpayment of wages at 7-Eleven stores. Taxi drivers and operators stopped work in major cities across Australia on September 10 in protest against Uber, which taxi drivers say is running an illegal, unregulated service. In Sydney, hundreds of taxi drivers protested against Uber outside NSW Parliament. NSW Taxi Operators and Drivers Association president Anne Turner told Green Left Weekly: "We are here today to save our livelihoods." In Melbourne, more than 1000 people rallied outside Parliament House, then marched on the Victorian Taxi Services Commission. About 100 people rallied outside Australia Post in the CBD on September 9 to protest against job cuts at Australia Post. Australia Post CEO Ahmed Fahour’s plans to “halve the service and double the price for letters” is before the parliament now. This could see the price of stamps increased to $1. Fahour announced that he had put aside $190 million for redundancies — an indication of how many jobs will go. Australia Post’s revenue has increased by more than $1.5 billion since 2010. "Boat turn backs, mandatory detention, offshore processing and indefinite limbo do not save lives." This was the comment made by Refugee Rights Action Network activist Michelle Bui before the 1000-strong #LightTheDark vigil for refugees in Perth on September 7. "You have to understand," she said that "no one puts their child on a boat unless the water is safer than the land." Land reforms are essential to achieving a long-standing peace after half a century of conflict, said Colombian academic Alejandro Reyes on September 10 during a forum on agrarian issues in Bogota. NGOs in Bolivia: Is Evo Morales cracking down on dissent? Recent statements by Bolivian Vice-President Alvaro Garcia Linera regarding non-government organisations (NGOs) in Bolivia have triggered a heated debate on the left. On August 11, Garcia Linera accused NGOs of acting like political parties seeking to interfere in Bolivia’s domestic affairs. While respecting their right to criticise government policies, Garcia Linera said foreign-funded NGOs need to understand their place within Bolivian society. 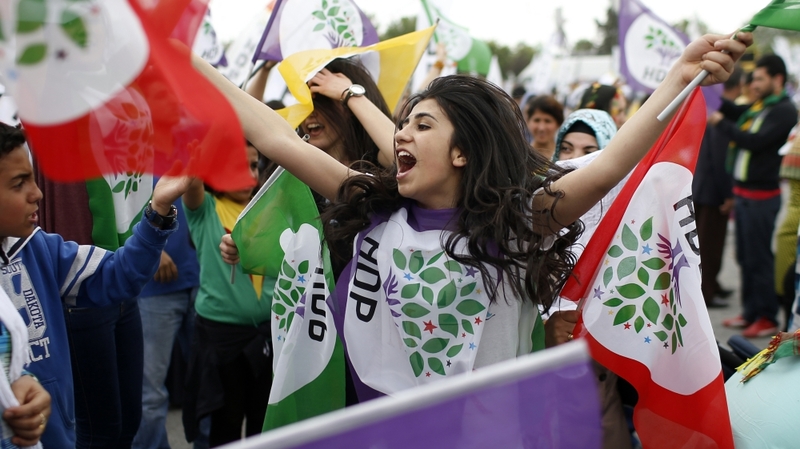 HDP rally ahead of the June 7 election. The following statement was issued by the foreign affairs commission of the Peoples Democratic Party (HDP) on September 10. India witnessed a powerful general strike on September 2, across most sectors of the economy and civil administration. The strike was called jointly by central trade unions and supported actively by various sections of the Indian left. Sometimes the fate of a child is written 100 years before they are born. Some will view this as a reductionist approach or fatalistic, but here we are not talking of a divine fate, we are talking of historical forces, politics, power, hegemony, economic exploitation and colonialism. The Bolivian government is organising a World People's Conference on Climate Change and Defence of Life to be held in Cochabamba on October 10-12. 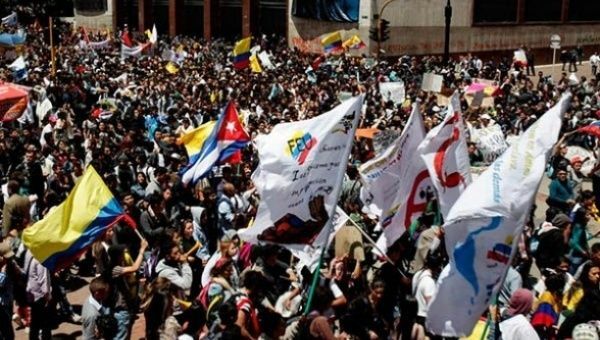 The conference was announced in August by Bolivian President Evo Morales, as well as leaders of the Bolivian Workers Central (COB) and the National Coalition for Change (CONALCAM). The tasteless joking between immigration minister Peter Dutton and Prime Minister Tony Abbott about the threat of rising sea levels to Pacific Islands — caught on a microphone after the Pacific Island Forum (PIF) meeting — sums up the Australian government's attitude to the victims of its climate inaction. The 46th PIF leaders' meeting in Port Moresby ended without reaching agreement on a united position to take to the Paris climate summit later this year. Pacific Island leaders could not convince Australia and New Zealand to agree on more ambitious targets. Australian Prime Minister Tony Abbott announced on September 9 a novel approach to stemming the flow of refugees from Syria: bombing the country. He also announced plans to accept a further 12,000 Syrian refugees on top of his government's miserly quota, but was quick to dispel any hopes that Australia might be abandoning its status as the Western world's leading abuser of refugees. Abbott told ABC Radio National on September 10 that Syrian refugees being held in the Australian-run concentration camps in Nauru and Manus Island would not be released. Resistance: Young Socialist Alliance’s “World to Win” series aims to give voice to the ideas and demands of radical young people who are involved in the struggle to make the world a fairer and more just place. This week, Resistance National Co-Convener, Mia Sanders discusses the importance of the ongoing struggle for full reproductive rights. How should mining union respond to the coal divestment movement? Newcastle is a major centre for coal exports. When Newcastle City Council flirts with any hint of fossil fuel divestment, expect controversy. On August 25, the council approved a policy giving preference to “environmentally and socially responsible investments”. This was supported by Labor and Greens councillors, and opposed by Liberal and independent councillors. Reading Rupert Murdoch's Australian is always educational. For instance, Maurice Newman's September 11 op-ed exposed a media gang that represent “by far the major media presence in Australia and, from their bully pulpits, they present a common position on most social, economic and political issues”. Carol Hucker worked on Manus Island as a counsellor for International Health and Medical Services (IHMS) and as a case worker for the Salvation Army from June 2013 to July last year. This is the third part of a multi-part series and covers September and October 2013. The cycle path known as the Iron Curtain Trail follows the boundary that separated east from west during the cold war period from 1947 to 1989. The 7650 kilometre route that stretches from north of Turkey to the Barents Sea, 400 kilometres inside the Arctic Circle, is not for the faint-hearted. But such is the desperation of Syrian refugees that up to 20 people a month are using the route to get to the safety of the Norwegian town of Kirkenes on the Russian-Norwegian border. Here they make a formal request for asylum and are then flown to the capital Oslo for further processing. Almost 1000 refugees and asylum seekers are indefinitely detained on Manus Island and a similar number, including families with children, are on Nauru. 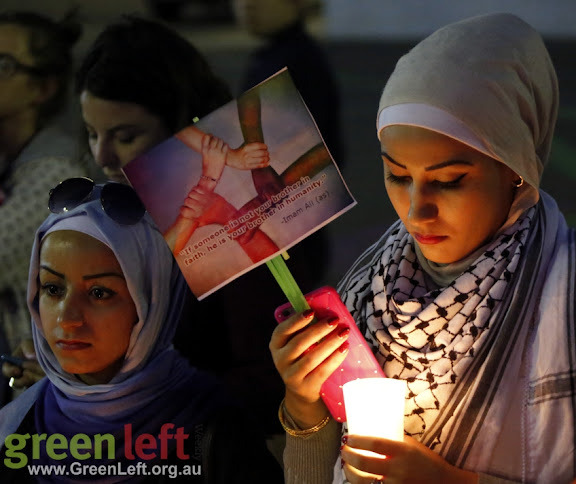 The announcement on September 9 that Australia will accept only 12,000 refugees from Syria and that the government will seek to discriminate on the basis of ethnicity and religion is further proof that the government is lying about leading the world in welcoming refugees. Is assisted suicide a dangerous idea? As part of The Festival of Dangerous Ideas, journalist Helen Joyce presented a talk titled, “The Right to Die”. Joyce is the international editor of The Economist, which, despite sounding like something millionaire bankers read on the way to work, has a long history of campaigning on issues. It has fought for equal marriage and the decriminalisation of prostitution and drugs — and now it is throwing its considerable weight behind the issue of assisted suicide. 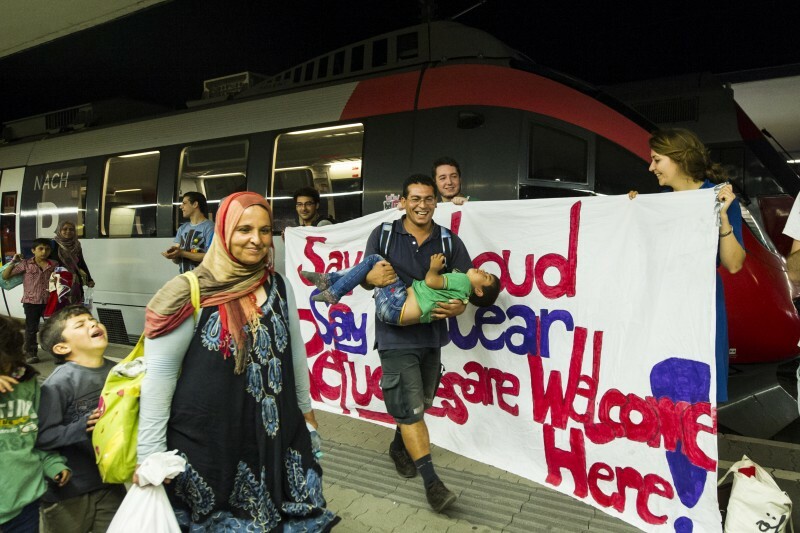 Socialist Councillor: "Reject Abbott's lies: Australia can do more to respond to the refugee crisis"
“Tony Abbott's bizarre proclamation that Australia is leading the world on a per capita basis in welcoming refugees is a lie,” says Sue Bolton, Socialist Alliance Councillor. Fans of Glasgow's Celtic FC. All 80 clubs competing in Europe's two most prestigious football competitions — the UEFA Champions League and Europa League — will donate €1 from tickets sold for their opening game towards refugees. Matildas players earn only $21,000 a year — below the minimum wage. The simmering industrial dispute between the nation's football (soccer) players and the Football Federation Australia (FFA) over pay and the right to collectively bargain has now boiled over with the national women's team, the Matildas, pulling out of a planned tour of the US. The focus of discussion about women in sport — specifically the discrimination they face, the lack of support and promotion, the disinterest from the media and the huge pay differences between female and male athletes — has overwhelmingly been on the elite or national level.